Here at IDESO, we have been kept very busy the last few months. We will shortly be posting some of our newly-developed products and some exciting concepts! Stay tuned. The Cape Town Design Route, currently in it’s second year, is a partnership between the Design Indaba Expo, Cape Town Tourism and the Cape Town Partnership. 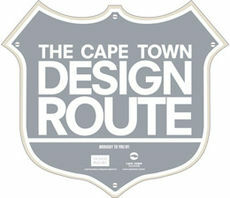 The route features 62 designers and studios in and around the Western Cape. This initiative has helped to showcase the tremendous creative talent that we have locally. As a Design Indaba Expo exhibitor, IDESO was selected to form part of this creative route. If you would like to get your hands on the Design Route map, then you can find a copy at any of the Cape Town Tourism’s 18 visitor information centres across the city.